Greg and Elizabeth have been able to revert back to their original ministry plans thanks to their teammates getting visas. Their other teammates have been on home assignment in Louisiana, so Greg and Elizabeth have been able to spend time with them. Pray for a sweet and special holiday time with friends and family before their anticipated Feb. 2019 departure date. 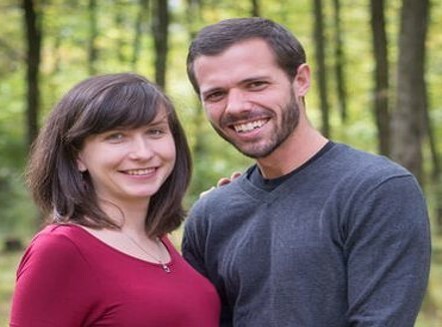 Pray for Jeff and Lynne to discern the best use of their time and energy to reach the maximum number of indigenous countrymen where they live. He is looking to change his visa status to a retirement visa giving him more time for ministry of the word and prayer. Pray for this decision and for parenting as they raise their children to know, love and follow Jesus. Robby shares that the GROW Development Center will be opening another location in Lebanon. Pray for the staff of 17 committed to providing the best Christian based early childhood development and adult mentoring possible. Pray for guidance and provision as they use a holistic approach to help break the cycle of poverty and dysfunction among underserved families of the area. Now that the Youngs have been through intense training in Spiritual mentoring, pray the Lord will lead them to the best three people in this context. In their UW role as regional leaders they continue to seek people to join the ministry in Vietnam which is open for people who want to do business. Pray as they balance their energies between local and regional ministry. Randy and Martha ask for wisdom in helping with small group discussions using online training modules for workers heading to the field, and with coaching teams on the field especially those in S. Asia where they most recently served. Pray for the use of their gifts to train and equip individuals and mission teams in the states and overseas. Clark and Khrystya were grateful his parents could be present for Emma’s baptism and to see firsthand their work in Lviv, Ukraine. Holy Trinity welcomed nine new members and gives thanks for the formation of a leadership team for the teen ministry. Pray for the care of covenant children and building up the next generation of believers. Christmas was God’s gift to us and the gift our missionaries share with those around them. Pray for open hearts for those who do not know this precious gift, and that each of our missionaries will sense afresh God’s love and care for them and their families. Jackie rejoices in being accepted to seminary and in beginning her on-line course through RTS. Pray for the women who come to the Saturday Bible Study, as many are new to the faith, and for true growth in their hearts and real connections with one another. Even with many exciting opportunities in her neighborhood and church, pray she will not become weary and restless but keep her eyes continually on the Lord. For more info on Jackie see page 26 in the prayer guide. Haley is grateful the opportunity to work at Annoor encouraged and lifted her perspective for the intense language study required in preparation for future ministry there. A week of concerted prayer was also helpful in putting into perspective the spiritual need of the country she serves. Pray for Haley’s perseverance in language learning and for relationships to be built with her classmates. Paul reports that sometimes programs do not accomplish their intentions as with the effort to reach the parents of young children, however it did open doors to the grandparents who attended. 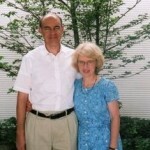 Pray for Paul and Violette Bridgman as they seek to reach the younger generation and use every opportunity to do so. Pray the church leadership team continues to do a fantastic job and for the Christmas meetings planned at the church.